Over 20 women representing Ho Chi Minh City and Vietnam’s southeastern provinces have moved one step closer to entering the Miss Vietnam World competition, announced Vietnam Television this week. 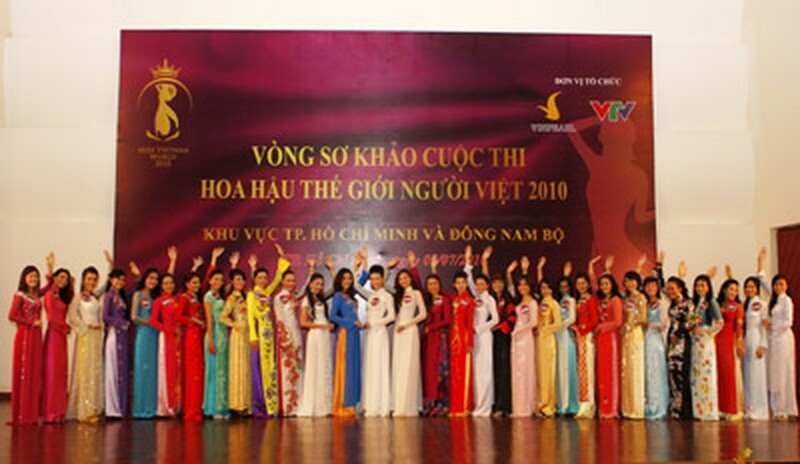 Contestants representing Ho Chi Minh City and Vietnam's southeastern provinces pose photo at the preliminary round of the second Miss Vietnam World 2010 in Ho Chi Minh City on July 5. Out of 80 preliminary contestants, 24 names were selected at the HCM City Conservatory of Music on July 5 to continue competing for a spot at the international beauty pageant open to women of Vietnamese origins across the globe. Shortlisted from 400 initial applications from the region, the winners will join Vietnamese contestants from other regions in the country and all across the world. A representative from the contest’s organizing board said the contestants were well prepared, showed their love for Vietnam, and were knowledgeable about how to compete in the pageant. Most contestants are studying at universities and junior colleges in the city. Most of them have ever seen or joined art performances, the representative added. The final round will see 40 contestants compete at Vinpearl Land, Nha Trang City, Khanh Hoa Province on August 21. The show will be broadcast on VTV3, VTV4 channels. All ticket revenues and proceeds from event will be used for charity, said the representative. The winner of the pageant will receive VND500 million (US$25,000), while the runner-up will get VND300 million ($15,000), and the second runner-up will get VND200 million ($10,000). Other awards in the show will include the Photo Beauty, Beach Beauty, Sports Beauty, Friendly Beauty, Tourism Beauty, Audience Favorite, Beautiful Dress, Beautiful Ouffet, Beautiful Style, Beautiful Conduct. 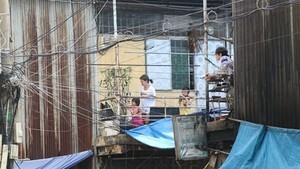 These winners will be awarded VND30 million ($1,500) per award. Each candidate that makes it to the final round will receive a VND10 million ($500) prize. The interview round will focus on questions about Thang Long – Hanoi to mark the 1,000th anniversary of the capital’s founding. After the finals in August, Khanh Hoa will organize events to celebrate Hanoi’s great anniversary with the winners of Miss Vietnam Global 2010.